Howdy, I am senior Calvin Dang, and I am currently a senior at Fremont High school. From what I learn while researching Charlottesville is that the city of Charlottesville is a city of history. I also learned that the Charlottesville was having the Unite the Right rally also commonly known as the Charlottesville Rally, and that one protester died at the Rally and with a total of 33 people injured, mostly protesters were injured. My life as a teenager growing up in America is pretty good. I have all the basic things I need to live and survive and go to school. I didn’t have that much hardship in real life but in school I faced a lot of hardships. Life outside of school is pretty good and nice but then in school it gets real hard and uneasy. The issues I think I would our (elected) leaders to prioritize right now is Racism. Everyone is hurt by Racism, it affects everybody’s everyday life. For example, most African Americans that were shot in America by police officers were shot for no real good reason. And when it was time for the police officers to get their punishment they don’t receive any real punishment at all and were free to walk. This issue should be their priority because if we could somehow get rid of Racism in this world then we can all have a better life, everyone will benefit from it. Solutions or Ideas I offer to American leaders who would for my advice about those issues is raise awareness of Racism and how it can impact someone’s life. Another solution to getting rid of Racism is having everyone learn about other people and their culture too. Not assuming things that you don’t really know about people like for example saying African Americans love nothing more than eating fried chicken and drinking kool-aid. I wish the future of America would look like a country where everyone can be proud to be part of. Dear Leaders of America by Calvin is licensed under a Creative Commons Attribution-ShareAlike 4.0 International License. This is a very beautifully written piece. Thank you for sharing. The leaders of America are truly putting the citizens at a disadvantage by allowing racism and divides to exist in our country. Thank you smooch for sharing this. Thank you for posting your article, I really enjoyed reading about it. It made me reflect on the things that are going on around the world as well as how much people are stereotyped because of their ethnicity. I am looking forward to your future posts. Best regards. I am happy about your post “Dear Leaders of America” because I like that you’re talking about racism, which it has been a big problem in this world. Also, I like how you are talking about what you have learn, which is really clear to understand, how you write about yourself, issues and their solutions. One sentence you wrote that stand out for me is “Solutions or Ideas I offer to American leaders who would for my advice about those issues is raise awareness of Racism and how it can impact someone’s life. Another solution to getting rid of Racism is having everyone learn about other people and their culture too”. I think this is really good because you explain your ideas of what to do with racism, also I like how you wrote more than 2 ideas which is really good. 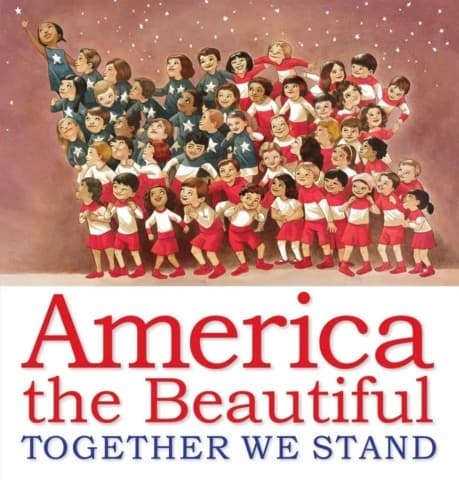 Another sentence that I liked when I read it was “I wish the future of America would look like a country where everyone can be proud to be part of”. This sentence stood out to me because I would also like for people to be really proud of them and to not feel worry or scared of the world or what people might say about them. Thanks for your writing. I look forward to seeing what you write next, because I think that it’s important for people to hear everyone’s voices and know what we can do. Im am a student from Life Academy, and I agree with that a lot of people have experienced racism and has affected many people. One sentence that stands out to me is: ” Another solution to getting rid of Racism is having everyone learn about other people and their culture too. Not assuming things that you don’t really know about people.” I think this is really strong because even those people do racism they need to learn how to control themselves and not hurt people. Thanks for your writing. I look forward to seeing what you write next, because I love how you express yourself about this topic and maybe others too.